Technology has developed rapidly in the past few years – be it cell phones, TVs or motor vehicles. It seems as if smart devices and futuristic gadgets are now being presented and launched several times a day. Smart technology is being integrated into devices and used by all generations ever more frequently. With luminaires too, smart progress is not only perceptible, but primarily visible. 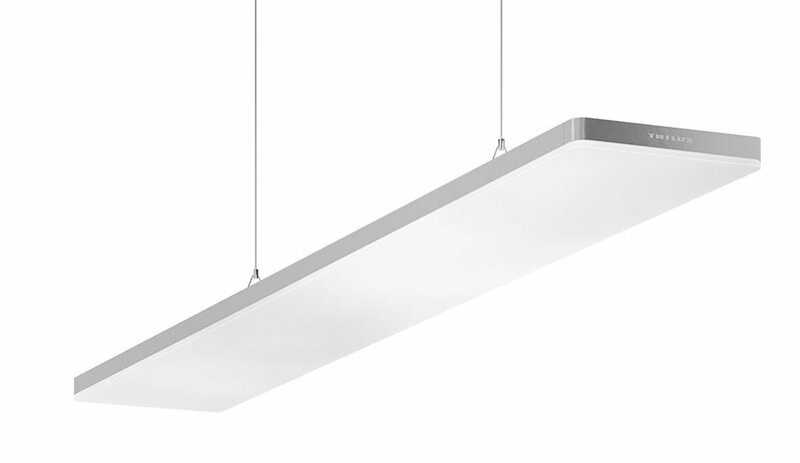 The BLUEmotion range of linear luminaires by TRILUX already marked an innovative step towards the future of technology. A modular system for individual and strip lighting and with adjustable light colours, the suspended luminaire with coloured RGB mixtures and different colour temperatures created suitable atmosphere in any office work situa­tion. 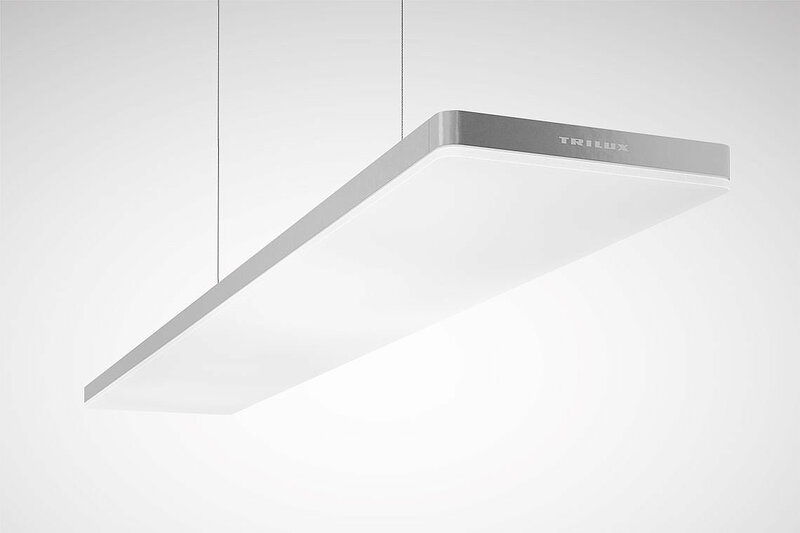 With the Lunexo LED TRILUX now offers a smart luminaire that allows the colour and intensity of the light to be controlled flexibly and automatically. The smart surface-mounted and suspended office luminaire ensures optimum lighting indoors and is simple and self-explana-tory to operate. It can be linked to a mobile terminal by WIFI and is available from the TRILUX app. Motion sensors, the fully automatic daylight control, and the smart device connections make the Lunexo LED a smart luminaire in state-of-the-art offices with new work processes, areas that encourage creativity, and flexible spatial concepts. 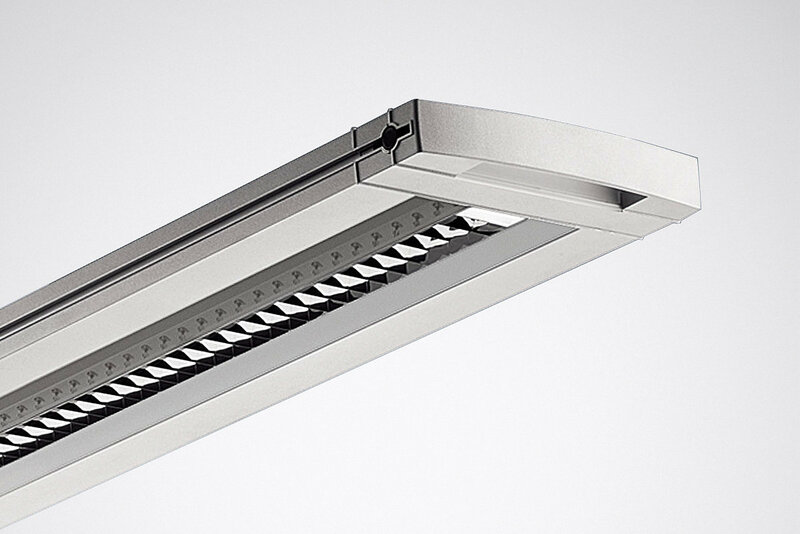 This smart luminaire is an ideal addition to adaptable environments.